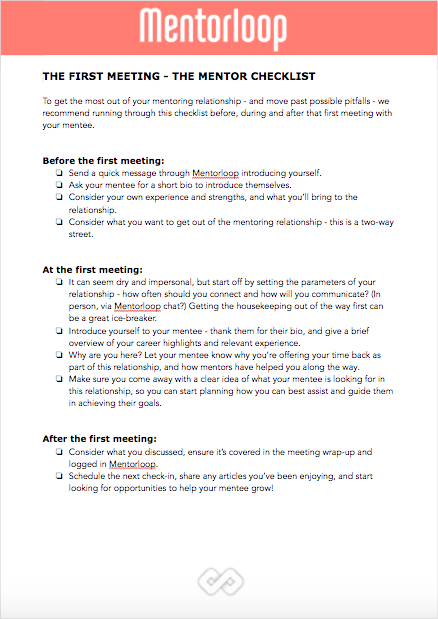 Below, you will find your first meeting checklist. Take a peek and click to download. This checklist will help you make a good first impression, help you figure out what this mentoring thing is all about, and instil some spark in your mentoring relationship. Good luck mentors. Your mentee is depending on you to bring at least your B-game.